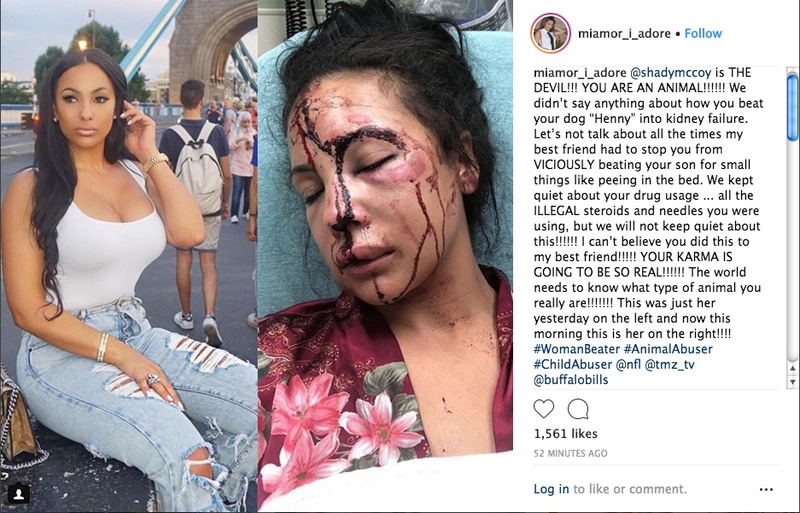 Buffalo Bills running back LeSean McCoy has been accused of brutally beating his girlfriend Delicia, and her friend, Mia, has taken to instagram today to reveal a graphic photo that was allegedly taken from a hospital bed this morning. Additionally, Mia accused the Bills' star of beating his dog and using drugs, among other claims. McCoy, a nine-year NFL veteran, has not yet commented on the allegations. UPDATE: McCoy has issued a response - read here.